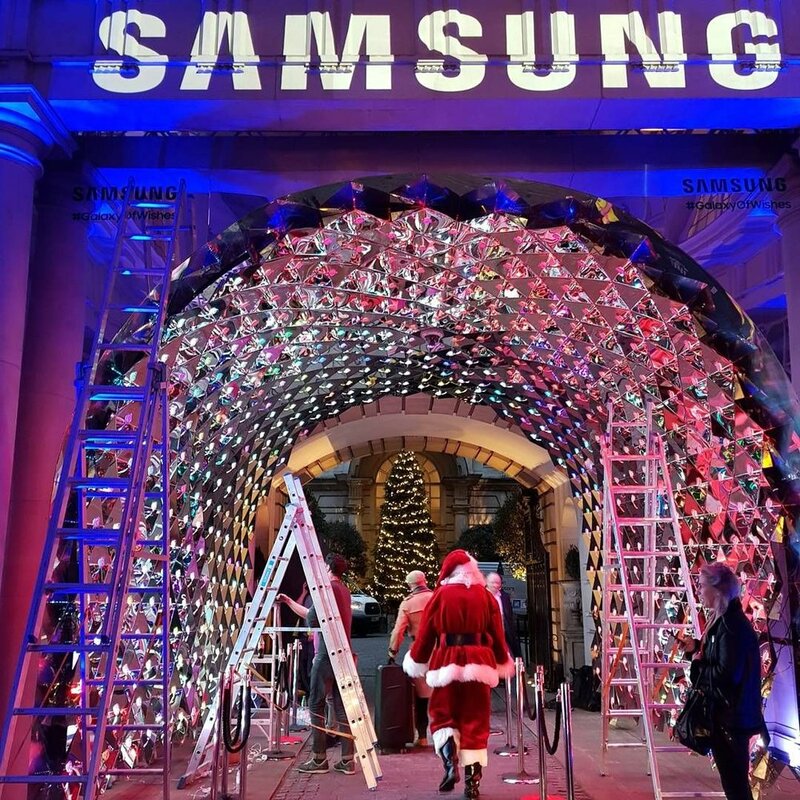 Following on from the series of mirrored installations that Samsung have created to promote their Galaxy Smartphones, this kaleidoscopic Tunnel marks the entrance to The Rosewood Hotel in London throughout the Christmas period as part of a fundraising effort for Great Ormond Street Children's Hospital. Conceived, design, built and installed within a fourteen day period, we called in a lot of favours from the team and suppliers alike in order to make it happen. Thanks again to everyone for all of your hard work. Based on 541 mirror polished, folded stainless steel modules with addressable LEDs mounted in the centre, each unit was stitched together to form an enormous textile, which was in turn wrapped around the inside of a supporting truss structure. In this image, the Santa Claus at the centre is the single source of the colour red. The kaleidoscopic nature of the installation multiplies and projects the colours across the whole environment, creating a completely new scene with every person that passes through.